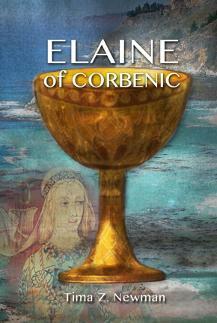 "Elaine of Corbenic," based on Malory's Le Morte D'Arthur, is the story of Launcelot and the Fisher King's daughter, who bore him the son who would one day find the Grail. Offering the poetry of medieval legend, it speaks also to contemporary themes of love, betrayal, abandonment, and the quest for meaning. 5 of 5 Stars: "invites the reader along, like a rich dream, to explore deep questions -- what matters most in life" - Barbara M.